KERBALA—Iraq is to plant 70,000 date palms south of Baghdad, hoping to revive production of a crop it was famed for across the Middle East. The country once produced three-quarters of the world’s dates but now accounts for just 5 percent after it switched its economic focus to oil and after decades of conflict devastated its farms. Backed by a state loan worth 10 billion dinars($8.43 million), a Shi’ite Muslim foundation has planted 16,000 date trees outside the holy city of Kerbala, some 90 kilometers (56 miles) south of the capital Baghdad. It is the biggest state-backed farming project for the crop since the U.S. invasion toppling Saddam Hussein in 2003. “We plan to have more than 70,000 date trees in future,” said Faiz Eissa Abu Maali, the project’s manager, during a tour. “With a size of 2,000 dunam (200 hectares) I think it’s the biggest (date) project in Iraq,” he said, adding that some date types had been imported from the United Arab Emirates. The project, launched in 2015, also plans to preserve some of Iraq’s rarest date types. Reflecting the rise of Shi’ites after the toppling of Sunni ruler Saddam, the farm is built by the Holy Shrine of Imam Hussein, one of the Shi’ites holiest sites. The shrine is the tomb of Hussein, a grandson of the Prophet Mohammed who was killed in a 7th Century battle in Kerbala. The shrine’s foundation has various business activities and is setting up the farm to create jobs for unemployed and boost agriculture production, according to its website. The total planned investment will be 70 billion dinars, said Abu Maali. Trees will be producing between 30 and 40 kilogram of dates within three years but output can grow to as much as 300 kilograms a tree depending on the type of date, he said. Iraq bans the import of dates to protect its farmers but given its porous borders the market is flooded with dates from neighbouring Iran which offers better water supply and incentives to its farmers. 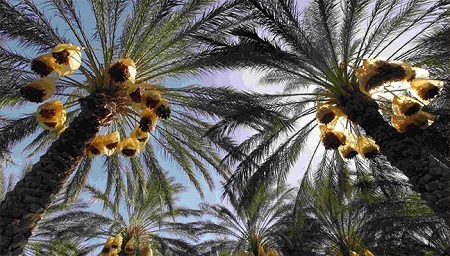 In another major project, Kuwaiti investor Abdul-Aziz al-Babtain, who owns a conglomerate, has started a date scheme worth $58 million with 5,000 date trees some 150 kilometres from the southern city of Basra. Babtain plans to grow 100,000 trees within six years, an executive told Reuters in May. Note: US$1 = 1,186.4300 Iraqi dinars. 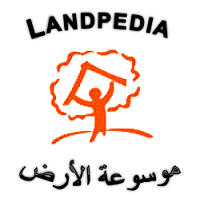 Additional reporting by Ahmed Saaed and Abdullah Ali; editing by Alexandra Hudson. Photo on front page: Date palm trees are seen at a farm, on the outskirt of Kerbala, Iraq, 24 June 2018. Source: Reuters/Abdullah Dhiaa al-Deen in The Daily Star. Photo on this page: Iraq to plant 70,000 date palms to revive once-famed crop. Source: Reuters.